The decision overturned a ruling by Wuppertal district court last December, in which the judge said the behavior of accused Islamist preacher Sven Lau did not amount to a “criminal violation of the ban on uniforms.” The decision sparked controversy in Germany and led to an appeal by prosecutors. The latest ruling by the Court of Appeal cannot be overturned. Lau, who is widely regarded as a leading figure in the German Salafist scene, was also indicted by federal prosecutors last month on suspicion of supporting a terror group linked to the self-declared “Islamic State” (IS) in Syria. The Salafists, who are all aged between 24 and 35, first made headlines in September 2014 after they patrolled the streets of Wuppertal, in Germany’s western industrial Ruhr region, in an attempt to enforce a strict interpretation of Islam. 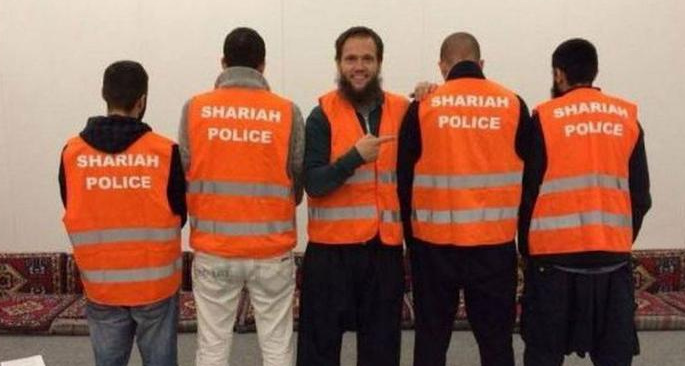 Wearing orange vests, emblazoned with the words “Shariah police,” the defendants allegedly demanded people at nightclubs stop drinking alcohol and listening to music.